My review of Zazen by Vanessa Veselka is now up at The Nervous Breakdown. 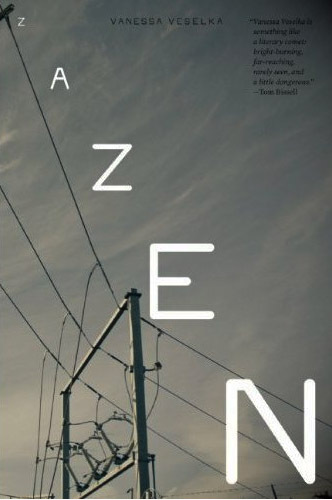 My review of Zazen by Vanessa Veselka (Red Lemonade) is now up at TNB. Great book, great new press. Funny, touching, sad, frightening, this book puts you through the emotional wringer. Well worth the ride. This entry was posted in Book Reviews, Other Voices and tagged bombs, book review, dystopian, hippies, lesbians, novel, politics, Red Lemonade, Richard Nash, richard thomas, the nervous breakdown, Vanessa Veselka, vegans, Zazen.